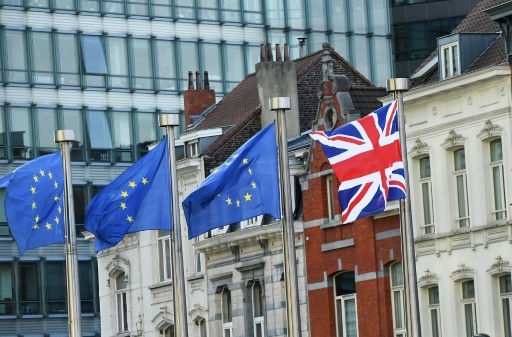 A British departure from the European Union without a deal could put 600,000 jobs around the world at risk, a study published Monday found. Researchers at the IWH institute in Halle, eastern Germany, examined what would happen if U.K. imports from the remaining E.U. fell 25 percent after Brexit. They concluded that some 103,000 jobs would be under threat in Europe’s largest economy Germany and 50,000 in France. Within the 27 remaining E.U. countries, a total of almost 180,000 posts at firms directly exporting to the U.K. would be at risk. But 433,000 more workers in the E.U. and around the world would be affected, as their employers sell to companies who in turn export to Britain. In the U.K., the study turned up around 12,000 jobs dependent on supplying EU firms with inputs for products which are then sold back to Britain. “Given the lack of skilled labor in many advanced economies, firms could also try to keep staff on by cutting hours or opening new markets,” they said. It is so far uncertain whether Britain will strike a deal with the E.U. before its legally-binding exit date of March 29 after a huge majority of lawmakers last month voted down Prime Minister Theresa May’s painstakingly-negotiated accord with Brussels. Britain’s parliament in January voted against Prime Minister Theresa May’s Brexit deal by a massive margin, triggering a no-confidence vote that could bring down her government. The E.U. warned that the vote, which plunges Britain into uncharted waters, boosts the risk of a “no deal” Brexit.